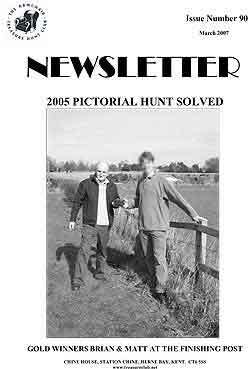 Cover Photo: 2005 Pictoral Hunt Solved. Gold winners, Brian & Matt at the finishing post. 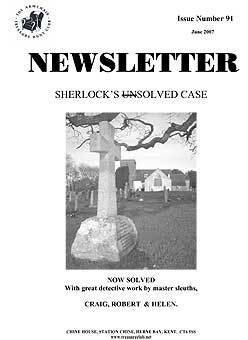 Cover Photo: Sherlock's Unsolved Case now solved with great detective work by master sleuths Craig, Robert & Helen. 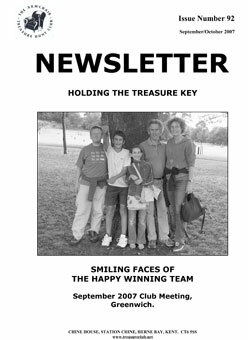 Cover Photo: Holding the Treasure Key - Smiling faces of the happy winning team. September 2007 Club Meeting, Greenwich. 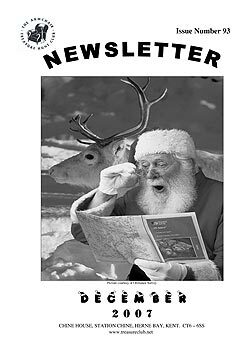 Cover Photo: Santa's Lost without his OS Map!